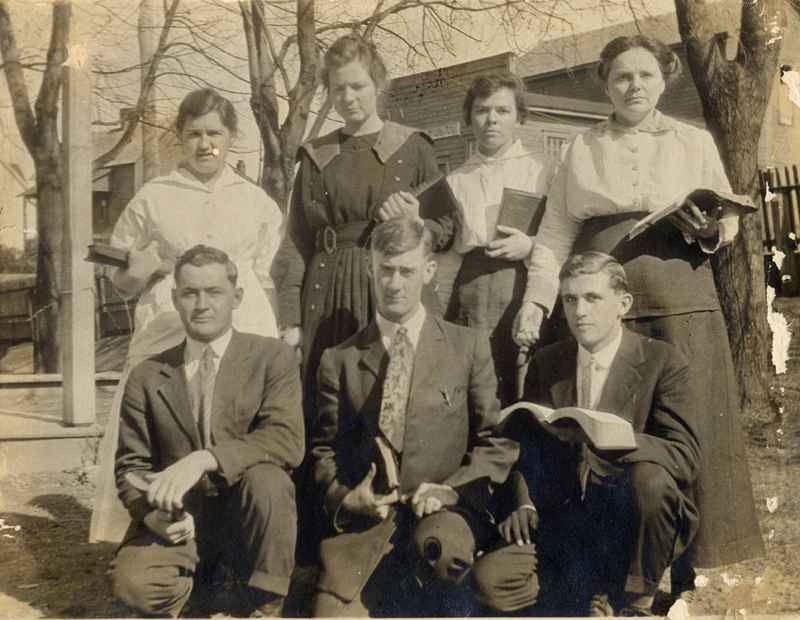 In a little more than three weeks, while the world is relaxing and enjoying the first day of a new year, Lee University will officially turn 100 years old. It will be a quiet first marker in a year-long celebration of the Church of God’s premier educational institution. That day Church of God Bible Training School (BTS) was established on a Tuesday at 9:30 a.m. Remarks were given by the first superintendent (president), A.J. Tomlinson, who was also the general overseer for the Church of God. Chambers then called the students from four states to order for their first class. Unfortunately only half of the twelve would remain to complete that inaugural three-month term, which concluded on April 5, 1918 with a service located at what is the current day North Cleveland Church of God. That inauspicious first term gave way to increases in the coming years. BTS would grow and after 20 years in various locations in Cleveland, would relocate in 1938 to Sevierville, Tennessee to the former campus of Murphy Collegiate Institute (present-day Smoky Mountain Children’s Home). After just nine years, the opportunity to relocate back to Cleveland presented itself when Bob Jones College moved their campus to Greenville, S.C. In 1947, BTS was renamed Lee College and began the fall semester on a site that would remain their home to the present day. In 1997, Lee College became Lee University. Lee University officials are planning several events to celebrate their centennial in 2018. Faith News will follow these events, as well as present a series of historical features throughout the year. To learn more about Lee University, visit leeuniversity.edu. Christ for all Nations CfaN, has published a new book to add to your Christmas reading and shopping this year. In The Mystery of the Magi, Evangelist Daniel Kolenda takes a closer look at some little-understood participants in the Christmas drama. GEB America is excited to announce the release of its original primetime television Christmas special, produced and performed by staff and students at Oral Roberts University. Noël: A Musical Celebration of Christmas will air several times the week of Christmas, including at 2:00 p.m. CST on Christmas Eve on GEB and KGEB TV 53 in Tulsa. Dr. David M. Griffis, director of Church of God World Missions, made a special trip to Puerto Rico recently. He and a World Missions team saw the progress made from the destruction of Hurricane Maria. The Moral Outcry Project, through its founder, Melinda Thybault, and The Justice Foundation filed their first Supreme Court Amicus brief including over 50,000 signers of The Moral Outcry Petition, in Case No. 17-689, Andrew March v. Janet T. Mills, as Attorney General of Maine, et al. The issue in this first case for The Moral Outcry is whether a preacher should be allowed freedom of speech to preach against abortion on a sidewalk outside the abortion facility. Imagine you live in an apartment complex. You are surrounded by tenants who have door decorations displayed for the holidays, and you have chosen to display a Bible verse on your front door. Members of the Church of God Doctrine and Polity (D&P) Committee have released a paper with extensive research on the evolving role of the Church and church attendance. A long time ago in a galaxy far, far away (well, actually it was 40 years ago in a crowded theater in suburban Atlanta) I saw Star Wars. It was 1977. I was a 19-year-old college student. I was totally wowed. 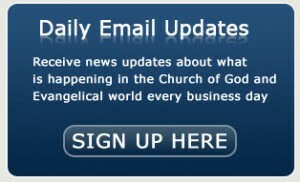 Praise.com, a faith-based website, has recently launched a redesign of its site and added a dynamic new web app. The site is dedicated to inspiring a community of believers to pursue and reflect God in everyday life. Robert D. (Bob) Pace, Sr., who founded both Men and Women of Action and People for Care and Learning, passed away on Sunday, December 10, 2017.